UK Prime Minister Theresa May appeared to pave the way for accepting a softer Brexit on Tuesday (April 2), as she offered to enter talks with Labour leader Jeremy Corbyn in a bid to build cross-party support and break the Brexit impasse. 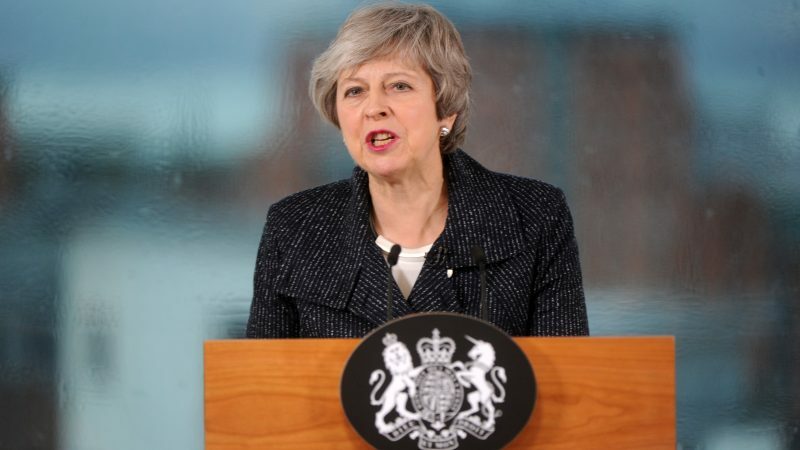 In a televised address after a seven-hour cabinet meeting on Tuesday, May said that she would request a further delay to the Article 50 process from EU leaders in a bid to strike a cross-party compromise. “If we cannot agree on a single unified approach, then we would instead agree a number of options for the Future Relationship that we could put to the House in a series of votes to determine which course to pursue,” said May. The Prime Minister added that her government would “abide by the decision” of UK MPs, and expressed hope that a Withdrawal Bill could be passed before 22 May so that the UK could leave the bloc without needing to take part in May’s European Parliamentary Elections. Labour has demanded that the UK remain in a customs union with the EU, and kept open the option of a second referendum, although it, like May’s Conservative party, has also been divided by Brexit. The Withdrawal Agreement brokered by May with the EU has been rejected three times by the House of Commons. However, despite two days of ‘indicative’ votes on eight alternative Brexit plans by MPs, none has been able to secure a majority, although proposals for the UK to stay in a permanent customs union or hold a second referendum came within a handful of votes. 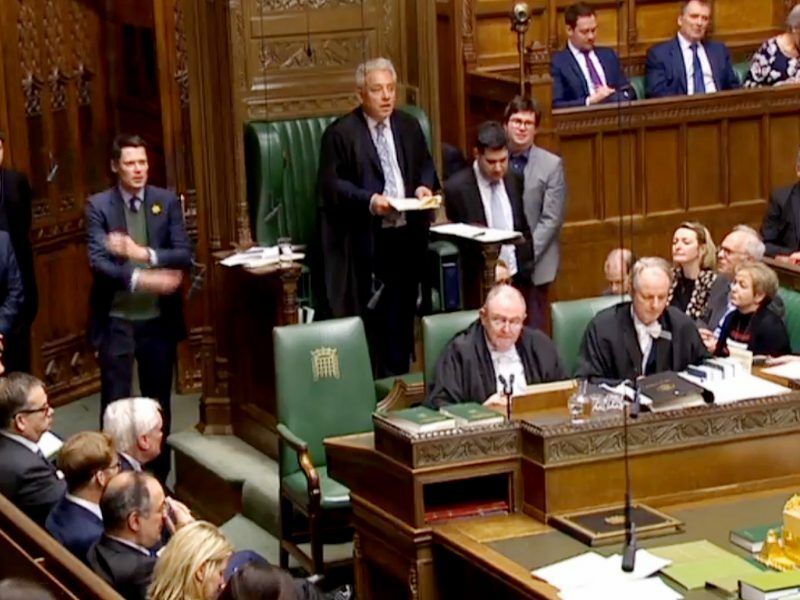 A ‘no deal’ Brexit has become ‘almost inevitable” after UK lawmakers again failed to break the Brexit deadlock on Monday night (1 April), narrowly rejecting all four alternatives to Prime Minister Theresa May’s Withdrawal Agreement. May’s move to seek compromise rather than move ahead with a ‘no deal’ Brexit was met with dismay by some leading Brexiteers. “It is very disappointing that the cabinet has decided to entrust the final handling of Brexit to Jeremy Corbyn and the Labour party,” said Boris Johnson, who led the Leave campaign in the June 2016 referendum. The UK government will need to request an extension to the Article 50 process at a European Council summit scheduled for 10 April. Without the agreement of EU leaders the UK will leave without a deal. Although patience with the UK is wearing increasingly thin, most EU leaders struck a conciliatory tone following May’s move. “Even if, after today, we don’t know what the end result will be, let us be patient,” tweeted Donald Tusk, the European Council president. “Better late than never” was the verdict of Guy Verhofstadt, who chairs the European Parliament’s Brexit Steering group. Earlier, both European Commission chief negotiator Michel Barnier and French president Emmanuel Macron had talked up the likelihood of a ‘no deal’ scenario, with Macron warning that the EU would not be “held hostage by the resolution of a political crisis in the UK”. 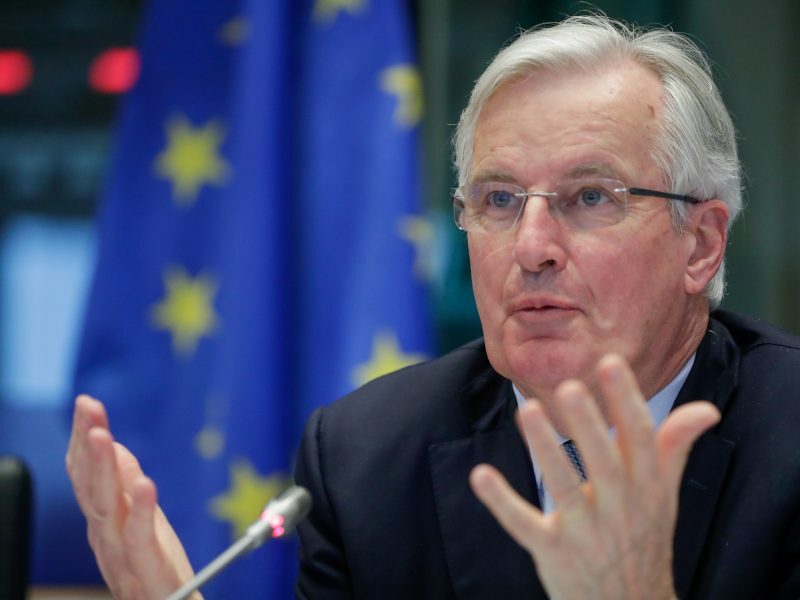 The EU should prepare for the implications of a no-deal Brexit on the future security partnership with the UK, the bloc’s chief Brexit negotiator, Michel Barnier, told the European Parliament’s foreign affairs committee on Tuesday (2 April). Many readers will have worked out by now that Brexit is not just about Brexit. Although Brexit has caused divisions in Labour – it is causing the Tory party to break up. In the case of the SNP it is seen as the reason for a second referendum on Scottish independence. However, what Labour wants more than anything else is an election. It is reasonably confident that with the UK media forced to treat Corbyn and Labour in a fair fashion, the party stands a good chance of winning an overall majority. Thus Brexit is a weapon, used by Labour to cause so much internal damage to the Tories that an election is the only way forward. It is worth noting that Johnson’s seat will almost certainly fall to the Lib-Dems, Rudds seat is a marginal & likely to go to Labour. This list is long. In the case of Ree-Smogg his electorate would elect a chimp wearing a blue rosette (wear a chimp suit Jake!). An election also offers the chance for a clear out of B.Liarites in Labour. This can be achieved either through de-selection or voters going somewhere else (I’m talking about you Hoey). If there is an election & Labour wins, it will, once again, have the unenviable task of picking up the pieces thrown on the floor/fixing a wrecked house by Tory children. If I was labour I would go for two things: change first past the post to something/anything other than that, write a constitution – it is what normal countries have. Oh & one other thing: various Tory MPs claim that Jeremy Crobyn leader of the Uk socialists is a “marxist”. Most of Corbyns policies (health, housing, energy) mirror those of another political party from the 1950s and 1960s – the Uk Tory party of that time – led by McMillan. Corbyn is thus a 1950s style “one-nation tory”. That he is now labelled as “marxist” by various current members of the Tory party is a reflection of the fact that the current tory party & its political alignment is now close to that of ….. the fascists. Maybe the Uk tories need a new name: The Conservefascist party of the UK. For those that think this a bit extreme – a momentary reflection on recent Tory policies will show this to be true: 4 million Uk children in pvoerty, the deportation of Uk citizens (they had the wrong skin colour) & so on & so forth. Tories: fascists in moderates clothing.